When a massive flow of Tachyons in this Tachyonized ULTRA Micro-Disk begin to collide, a new field of energy is created. This new field is called the NEO Field and its potential is indescribable. It affects both, the physical and non-physical Subtle Organizing Energy Fields. When the Micro-Disks are placed on an injury or unbalanced area they should be left on that area until all symptoms are gone, plus an additional two to three days. As long as the Tachyonized Micro-Disk is applied to the body it will attract energy to the SOEFs. The SOEFs convert Tachyon into the exact frequencies needed to restore order. In other words, the SOEFs convert Tachyon into usable biological energy. It is this usable biological energy that allows the body to heal itself. b. Using Cell-Dotts, adhere Micro-Disk/Energy Cells to the most tender points. Place the Micro-Disks/Energy Cells directly opposite each other. This is called bouncing. Bouncing allows the energy from each Micro-Disk/Energy Cell to bounce off the other thus flooding the surrounding tissue with more Tachyon. c. Use a Knee Hug over the Micro-Disk/Energy Cells. This combination addresses key points while keeping the whole area flooded with life-force. e. It is always recommended to leave the Micro-Disk/Energy Cells in place for two or three days after the symptoms have cleared. If the body has not completely healed, the symptoms will recur. In that case, reapply the Tachyonized tools. b. Using Cell-Dotts, adhere Micro-Disk/Energy Cells to the lung reflex points (under the hollows of the collarbone next to the breastbone) and/or at the top of the scapula towards the spine. These points aid respiratory function. It is becoming increasingly apparent that immune dysfunction is the cause of many diseases from simple fatigue to full-blown disease. Wearing a Tachyonized Micro-Disk/Energy Cell on the thymus gland, and using Tachyonized Water will aid in rejuvenating the immune system and facilitate its return to balance. For an adult, the suggested size is 15mm to 24mm. Children, depending on their size, require an 8mm to 15mm Micro-Disk/Energy Cell. Thousands of people use Tachyonized Micro-Disks/Energy Cells to enhance their meditation. We continually receive reports of their experiences. Most use a Tachyonized Velcro Headband that has a pocket to hold the Micro-Disk/Energy Cell on the 3rd eye. *Chronic Conditions: If you are experiencing a chronic or long- standing problem, it will take more time for the body’s tissues to return to balance. Remember to cover the entire area. Failure to do this can substantially increase the rebalancing time. There are no set time frame when the return to balance will occur. Each person is unique, with a unique set of circumstances. Please be patient and gentle with yourself. Allow your body the time it needs to come back into balance. 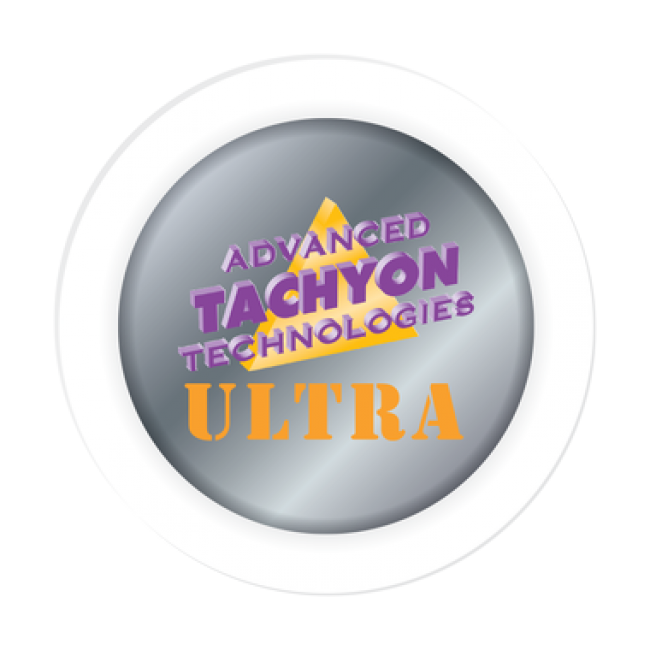 Tachyonized Ultra Micro-Disks are available in 35mm, as singles or in 3 to a pack. Adhere the Tachyonized Ultra Micro-Disk directly on the area in need of balancing. Cover the entire area with the appropriate number of Ultra Micro-Disks. Energy flows out both sides of the Tachyonized Ultra Micro-Disks therefore you do not need to worry about which side is facing the body. 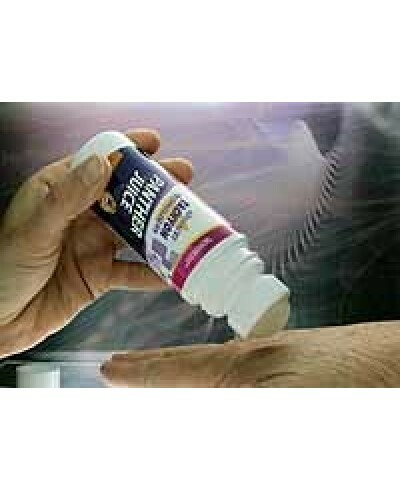 NEW ROLL-ON MAKES SELF-APPLICATION EASYPanther Juice is especially helpful for muscle and joint pain, arthritis, swelling, strains, sprains, varicose veins, tendonitis, carpal tunnel syndrome, and cramps. It is also helpful with breathing difficulties such as emphysema, asthma, and pneumonia when ap..